A clean, well-kept office exterior contributes significantly to a professional appearance. Suppliers, affiliates, and managers want to see a maintained exterior because it indicates you take your work seriously. Water blasting or pressure washing by a professional cleaning company is one of the quickest and most effective ways to keep your building looking fantastic. Pressure washing from a reputable cleaning company contributes to a welcoming and appealing exterior. It removes window smudges, stains, insect and bird excrement, as well as dirt and dust buildup. This boosts curb appeal as well, which is beneficial should you ever choose to sell the property. Mold and mildew not only look unsightly, but they also contribute to premature structural breakdowns. Pressure washing eliminates these substances easily. If you’re worried about surrounding vegetation getting damaged, you’ll be happy to know expert teams take care with pressure washing cleansers and tools so they do not negatively affect flowers and plants. Routine pressure washing by an experienced cleaning company helps you maintain a healthy office. Mold and mildew in large amounts trigger allergic reactions, asthma flare-ups, and other health problems, even if it is on the exterior of the building. 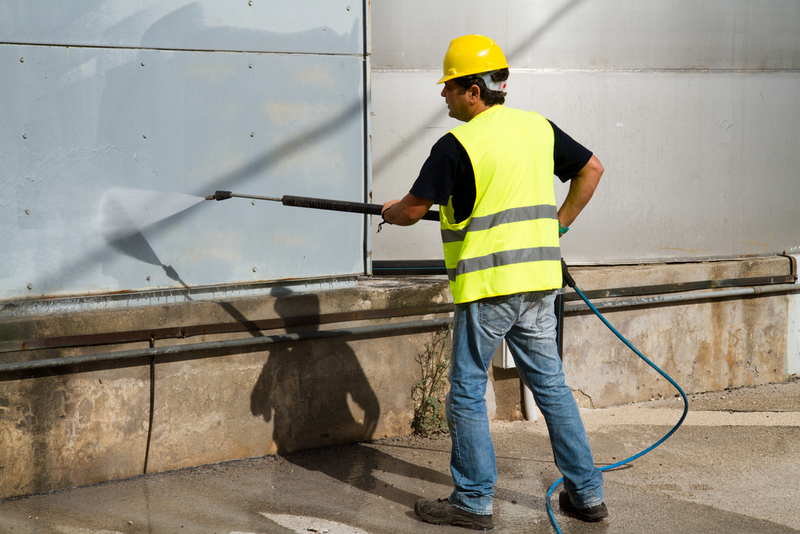 Water blasting removes pollen and mold to further reduce allergy and respiratory issues among your employees. Marsden Northwest is the cleaning company to call for all of your water blasting needs. The Spokane, WA-based company has served the area since 1952 and offers a comprehensive range of commercial cleaning services, including office cleaning. The company uses green products only and donates 10% of its pre-tax profits to local organizations as part of its dedication to the community. Call (509) 324-1814 to request an estimate or visit the cleaning company online for more service information. Like their Facebook page for the latest office cleaning advice.